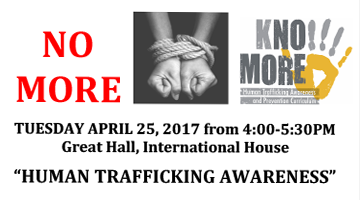 To Raising awareness & Prevention of Human Trafficking. 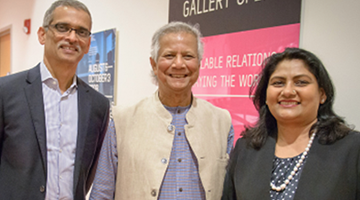 Through a collaborative effort from compassionate community members in Maryland, USA. 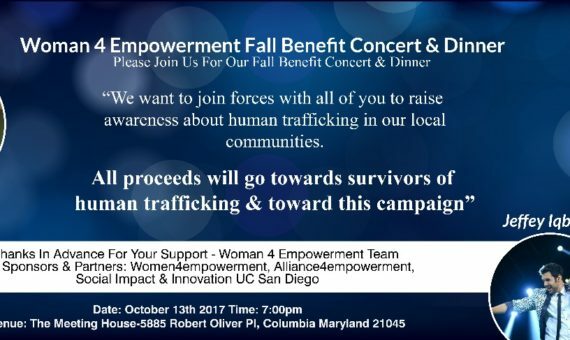 The evening is filled with entertainment: Singer Buki Domingos, who is a Survivor Herself will be sharing her story followed with a heartfelt performance. A performance also by Famous Singer Jeffrey Iqbal. Jeffrey made history, being the first American born to sing for a Bollywood movies. A local band Aricha Ghat will be adding to the fun with some pop and rock songs from the 70s, 80s & 90s. Dinner will be served during the entertainment. The Program has special guest speakers who would be highlighting this tragic social condition, how it is affecting our society and becoming a critical cause of concern to raise mass awareness. We would like to raise awareness to incite curiosity and prompt a learning journey toward understanding the red flags and vulnerabilities of human trafficking. The International Labor Organization estimates that Human Trafficking generates over $150 Billion in illegal profits each year Majority coming from sexual exploitation. USA is not immune to this crisis, infact the USA is one of the largest buyer of this exploitation. the disturbing statistics are REAL VICTIMS, including students from universities, middle school, and high school right here in USA. TIME IS CRITICAL WE NEED TO RAISE THE FLAG AND STAND UP TO KEEP OUR COMMUNITY, CITY, STATE & COUNTRY SAFE & AWARE.